San Jose was founded in 1737, today it is a spread-out metropolis. San Jose is the capital and the largest city in Costa Rica, it is considered among the most cosmopolitan cities in Latin America. In the city and surroundings, you can find not only great options for accommodations, but also many wonderful restaurants, bars, museums, shopping centers, and colorful markets embracing the best of local culture and night life. San Jose Costa Rica is home to solid history and culture, outstanding architecture, friendly locals and bustling nightlife. It is considered as a traditional Central American city and a cosmopolitan urban city; San Jose provides its visitors an amazing collection of activities and attractions while vacationing in Costa Rica. 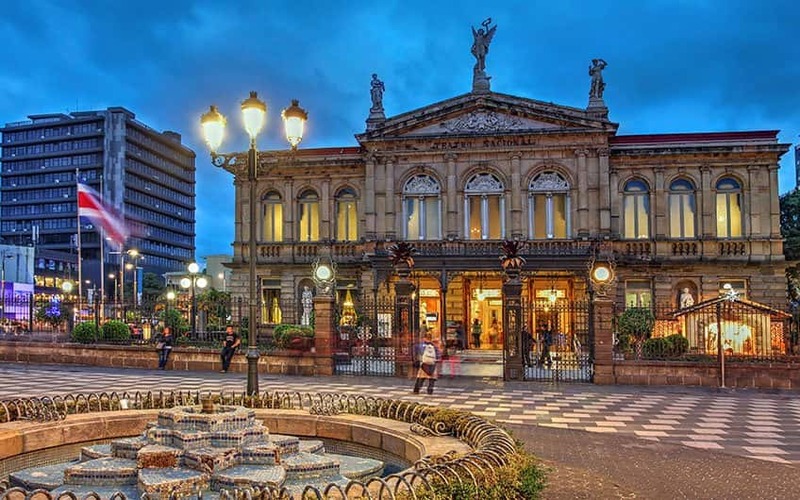 This city is the cultural center of Costa Rica, thus there are plenty of art galleries, museums, parks and dining alternatives for visitors to choose from. Although the city is reasonably modern as far as the Latin American cities, as it is unusual to see buildings that are older than 100 years. Some of the most common attractions in San Jose Costa Rica include the Jade Museum, Democracy Plaza, Central Park, Spanish Park, Morazan Park, and the National Park. The Jade Museum is one of the country's most exceptional museum and it is home to the largest collection of American jade in the world. San Jose sits in the middle of the country in the Central Valley and it is surrounded by superb untouched cloud forests. The city serves as a hub to the rest of the country and it is not only the perfect place to use as a base to tour around Costa Rica, but also serves as the gate for first and last night during a vacation in Costa Rica. Downtown San Jose is the busiest part of the city, with a network of streets and avenues where you can find city museums, different hotels for all needs, restaurants, bars, and plazas. The downtown area is somewhat small and it is one of the most visited parts of the city by locals and visitors, thus do keep in mind that you might come across some heavy traffic with lots of congestion and noise. It is the heart of San Jose though and you may want to look at it. Streets and avenues are usually bustling with traffic and pedestrians, so walking might be the best way to explore this area. Situated in the broad Central Valley is 3,800 feet (1,160 mts) above sea level, it received the name of Villa Nueva when it was settled back in 1736. San Jose developed gradually as a tobacco center in the Spanish colonial time. In 1823, the capital city was shifted from Cartago province to San Jose. And, in the 1840s San Jose became one of the most important centers of coffee production; which remained the primary source of income in the country throughout the 19th century. San Jose Costa Rica grew rapidly as the political, economic and social center of the country in the 20th century. Most neighborhoods bordering the city’s center were developed in a grid pattern. After 1950, a great number of industrial establishments thrived. San Jose has a perfect location for development, as the transportation hub becomes an important point on the Interamerican Highway and is at the intersection of highways to the Pacific and Atlantic coasts. The city of San Jose is the site of the University of Costa Rica (founded in 1940), the oldest but the most diverse of San Jose’s four public universities. Starting that decade Costa Rica’s stability and democratic reputation attracts foreign students to those universities and to the multiple private universities spread abroad San Jose. Some of the historic buildings in the city include a 19th-century Catholic Cathedral and the National Theatre, designed after the Paris Opera. San Jose downtown has a unique collection of plazas honoring the country’s progressive and democratic traditions, to mention some we have the Culture, Democracy and Social Guarantees plazas. There is a park paying tribute to U.S. former President John F. Kennedy, to memorize his visit to the country in 1963. Numerous collections of pre-Columbian gold work and cultural centers are among the most representative attractions in the city. The National Museum, famous for its historical and archaeological exhibits, is placed in a former army garrison. 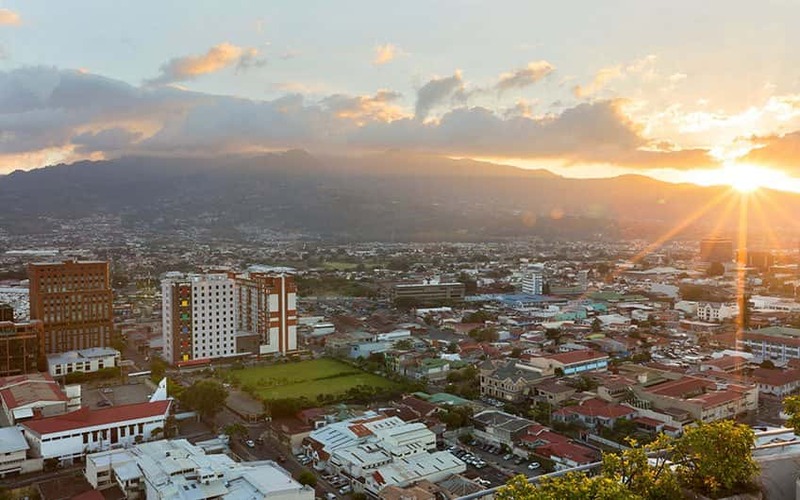 Get to know the largest city and the national capital of Costa Rica: San Jose. This city is perfectly located in the Central Valley of the country. Talamanca Mountains can be found to the south, on the other hand the Barba Volcano to the North and the Irazu Volcano to the East. A zoom in the Costa Rica map shows a city with expressways, streets and main roads taking to the main locations within the city such as the Tobias Bolaños Airport (SYQ). Zoom out and you will find around 20 km (13mi) NE of the city center the Juan Santamaria International Airport (SJO). As it is located in the “center” of the country, then the driving distances between the city and the main attractions of Costa Rica are relatively short. This means that you can drive in Costa Rica from place to place in just few hours and without a major problem. Costa Rica is mostly dominated by the mountains of the Sierra Madre, which are fractured into small individual ranges and valleys by volcanic eruptions over a very long time. In the mild Central Highlands´ heart, the Meseta Central is a comprehensive valley at an elevation of around 5,000 feet (1,524 m) above sea level. Originated by the placid volcanic slopes of the Volcanic Cordillera Central to the north and the precipitous, wooded slopes of the Cordillera de Talamanca, the lowland plain of the Meseta Central in San Jose, is over 1200 miles2 in area. Cerro de la Carpintera runs north to south dividing the Meseta Central region into two shorter valleys. To the west of those hills, San Jose and its spread-out suburbs, along with other major cities are located in the larger and more heavily populated half of territory. While, the smaller Cartago valley slopes in the East falls steeply through the valley of the Reventazon River in the Caribbean Lowlands. The weather conditions in this region are usually pleasant. The average temperature throughout the year is nearly 74°F (23°C). Moderate yet reliable rainfall guarantees that the nutrient-packed volcanic soil provides the ideal conditions for farming. The Meseta Central is the agricultural center of the country; strawberry crops, sugarcane and coffee fields are commonly seen, as well as horticulture farms and dairy farms. Above that, lush forests and beautiful gardens and a wide range of wild animals and plants are close to local homes. San Jose experiences tropical dry and wet climate as there is a visible precipitation between the driest month of the year (6.3 millimeters / 0.25 in) and the wettest month of the year (355.1 millimeters / 13.98 in). The average temperature appears to be mild due to the altitude influence. As San Jose lies in the tropics, the average temperature throughout the year has just a little variation. April is the hottest month with an average temperature of 23.7 °C (74.7 °F), while October is the coolest month with an average temperature of 21.8 °C (71.2 °F). In general terms, if we had to say what is the average weather in Costa Rica, the answer would be mild. Costa Rica has a total population of 4,887 million habitants, while 1.50 million habitants are found in the Capital City, San Jose. The city as is the most important working area of the country and it brings more than a million people every day. Few people live in the center of it. Per studies in Latin America, San Jose remains to be one of the least violent and safest cities in the region. Back in 2006, the city was appointed Ibero-American Capital of Culture. Based on MasterCard Global Destinations Cities Index, San Jose was determined as the 6th most important destination in Latin America in 2012. San Jose ranked as 15th in the world’s fastest growing destination cities by visitor cross-border spending. Juan Santamaria International Airport in San Jose (SJO – San Jose International airport code), is the main international airport in the Capital City of Costa Rica and the gate to your Costa Rica vacation. This airport provides seamless travel to the main areas of the Central Valley, Arenal Volcano, La Fortuna, the Central Pacific and the Caribbean. It is located just 20 minutes west from downtown San Jose or 14 mi / 23 Km, in the city of Alajuela. 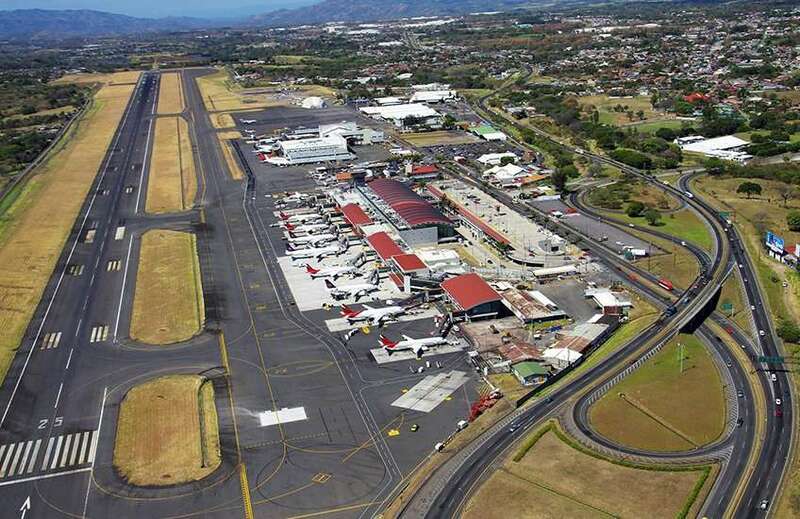 It is the largest and oldest airport in Costa Rica, it is also one of the busiest airports in Central America. This is a very important airport and it features a great variety of services, such as: migration office, an emergency medical technician’s department, refueling service, a fire brigade department, bank services, telephones, internet, sanitary facilities, VIP Lounge, restaurant and cafeteria. In addition to that, only a few minutes from the airport you will find a great variety of hotels in Costa Rica, from luxury resorts to boutique hotels or small lodges, and also banks, restaurants, domestic and local flights services. 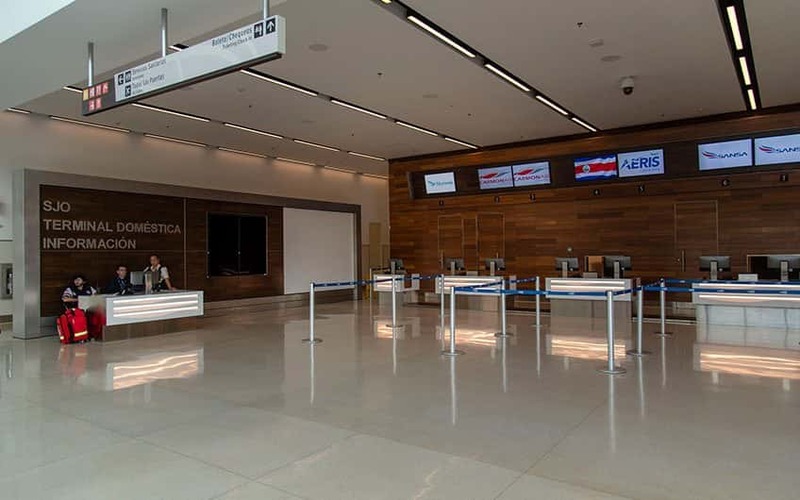 San Jose´s International Airport, the first airport in Costa Rica in terms of relevance, receives flights from several important U.S. cities such as New York, Newark, Miami, Dallas, Los Angeles, Ft. Lauderdale, Houston, and Atlanta. Other cities from where you can take flights to San Jose are: Madrid, Panama, Managua, Guatemala, Salvador, Mexico, Tegucigalpa, Bogota. In 2011, the airport was rewarded as the 3rd Best Airport in Latin America, and the Caribbean, an Airport Service Quality Awards by Airports Council International. Another important airport in San Jose is called Tobias Bolaños International Airport (SYQ), which is located 5 mi / 8 km North-East of the city. It is 7 mi / 11 km South-East of Juan Santamaria International Airport. However scheduled flights are set land/depart from Juan Santamaria International Airport and charter flights are more commonly seeing from/to Tobias Bolaños Airport. If being in a car for 3.5 hours does not sound like a good plan to you, but saving time in transportation is your choice, then small aircrafts are available through two major local airlines that provide scheduled local flights to several destinations within the country, including Liberia, Tamarindo both in the North Pacific. Quepos (Manuel Antonio) and Palmar Sur in the Pacific. La Fortuna (Arenal) in North low lands. Limon in the Caribbean. The hubs of both Sansa and SkyWay are located at the Juan Santamaria International Airport. Local Flights or ground transportation? Almost every domestic flight departs or arrives in San Jose, so it can be a great alternative to start or end your vacation in Costa Rica if your international flights are arriving at Juan Santamaria International Airport. It is rare to see interconnecting flights between destinations; ie: La Fortuna – Manuel Antonio, Quepos, or La Fortuna – Tamarindo, Guanacaste. For you to take a flight from La Fortuna to Manuel Antonio, you would need take a 30-minute transfer from your hotel in Arenal to La Fortuna Airstrip, followed by a 30-minute flight from La Fortuna to San Jose. You will need to connect with the next available flight from San Jose to Quepos near Manuel Antonio (layover may be from 1 to 3 hrs.). Take a 35-minute flight from San Jose to Quepos Airstrip and end with a 30-40-minute transfer to your hotel in Manuel Antonio area. Thus, here is where a ground transfer makes a lot of sense unless you wish to pay for a charter flight between destinations, which are very convenient, too! A direct flight would be around 45 minutes but unless you charter a whole small aircraft there are no direct flights. Trying to move from one destination to another? On the other hand, driving from Arenal to Manuel Antonio would be around 4 hours which at the end works out to be faster in most cases (with other destinations as well). Look at the driving distances between destinations if you are interested in exploring by ground and having a better idea of how locals live, the landscaping and towns in route to your next destination. In other words, if you are not beginning or ending in San Jose it rarely makes sense to take a local flight. But, the great thing about Travel Excellence is that we will take care of the best possible logistic for your vacation and customize your trip based on your priorities to see and explore and your budget. There is an art to put together a travel itinerary, as there are no specific rules for deciding when to fly or where to fly. There are some times and places that make more sense than others from a time and cost perspective. So, if you are in San Jose already or trying to get to San Jose, then it is the best to consider taking a local flight. San Jose has a great number of activities to offer its visitors coming from around the world. The city extends a variety of expressions of traditions, art, history and architecture; involving theaters, museums, historical buildings immersed of cultural activities. The city active life invites guests to stay longer to take advantage of the galleries, restaurants, cafes, clubs, museums, parks, not to mention the national parks that can be visited for the day. Numerous hotels within and around the city facilitate the access to all those attractions. To those interested in having a more peaceful and natural experience but still be closed to those city attractions, there are hotels that meet those needs in Alajuela, Bajos del Toro, Heredia and Naranjo. Those fascinating activities have made of San Jose a cosmopolitan capital with landmarks of great beauty throughout the city. Families, couples, friends traveling together or solo travelers have found in San Jose´s history and cultural treasures a valuable experience to remember among all the things to do in Costa Rica. At Travel Excellence, we have a broad selection of activities to do while in San Jose for you to look through and learn about. Whether you travel to San Jose city during the dry or green season, San Jose has a something for every taste, no matter what the season is. It is not even necessary to leave the center of city of San Jose to enjoy natural greenery. La Sabana Park is located in the West of the city and at the sight of the old main airport in San Jose. It is a popular hangout spot for locals, specially over the weekends. La Sabana Park is a must-visit place for any visitor to the capital. It is the country's largest and most important urban green space, comparable in a modest way to New York's Central Park. The park is also the site of the Costa Rica National Stadium. Even if you are not attending an event at the stadium, its architecture is a sight to see. Pack up a picnic or pick up a soccer game at this lovely park. At La Sabana Park visitors can find jogging trails, soccer fields, a banked bicycle track, a few public tennis courts, a roller-rink, and the massive National Stadium. Aside from events at the National Stadium, all the facilities are free and open to the public. On weekends, visitors usually find free, public aerobics, yoga, dancercise classes taking place during the mornings. Families gather for picnics, fly kites, pony rides are available for the kids, and everyone can walk through the outdoor gardens in reforestation. If you are into experiencing the local culture, try to get into a soccer game by family members or friends, you can either watch it or be part of it. 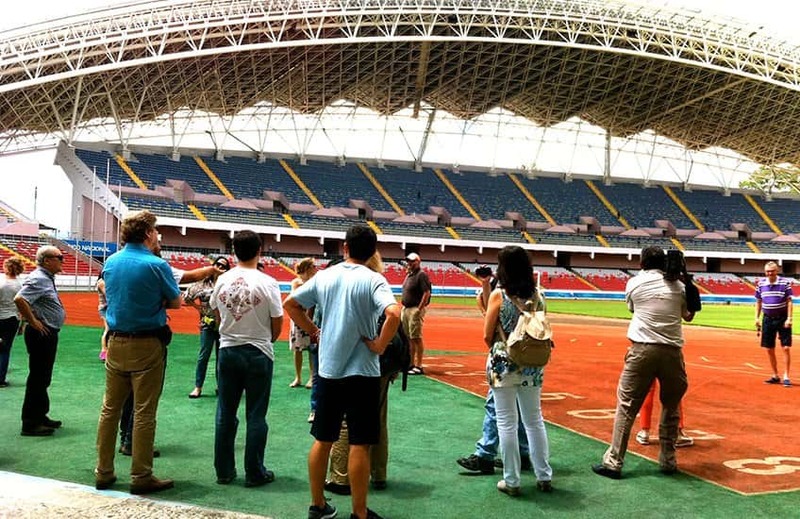 San Jose has a newly built national stadium, a 40,000-seat stadium that hosts international musicians and sporting events. The old national stadium was demolished in 2008, it was replaced by the new stadium that was built between 2009 and 2011 in the exact same location with the help of Chinese donations. It officially opened on March 2011 with a friendly match between the Costa Rican and Chinese national teams (2-2). It does not have a permanent club occupant; however, it is the standard playing venue of the Costa Rican national team. Chinatown in San Jose is defined by 6 pedestrian-only blocks. 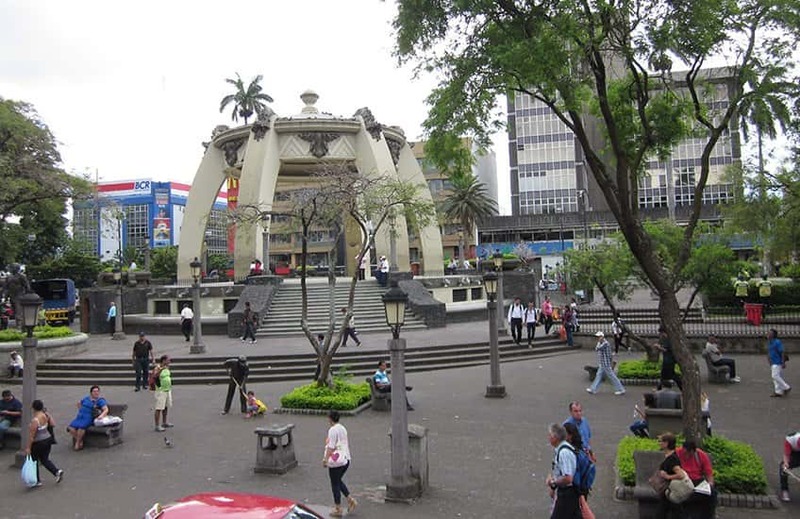 It is located just 4 blocks East of the entrance of the National Theater in San Jose downtown. Visitors will see a grand entrance gate installed at 2nd Ave. and 11th Street. Chinatown's inauguration´s took place in Dec. 2012 and it offers a variety of quirky offerings within the different shops, many of those not even Chinese. 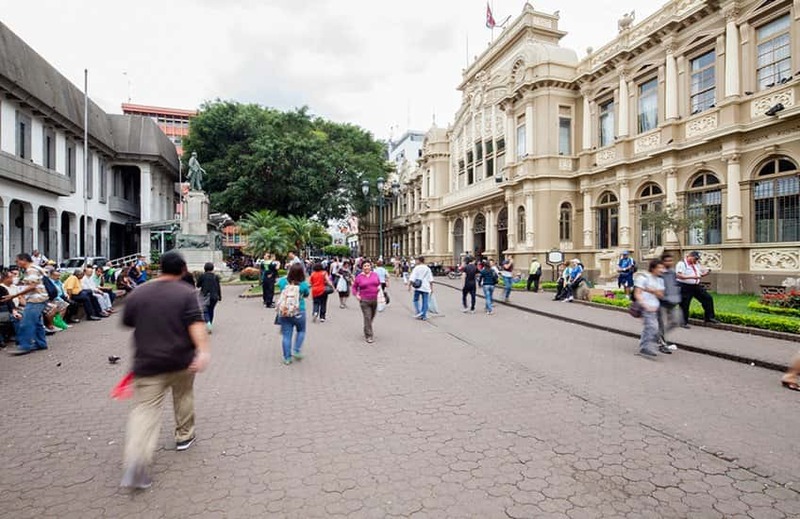 As normal in Costa Rica, any formal delineation of an area is lost upon arrival as people can always find 'a little of everything' across the streets and the entire city. 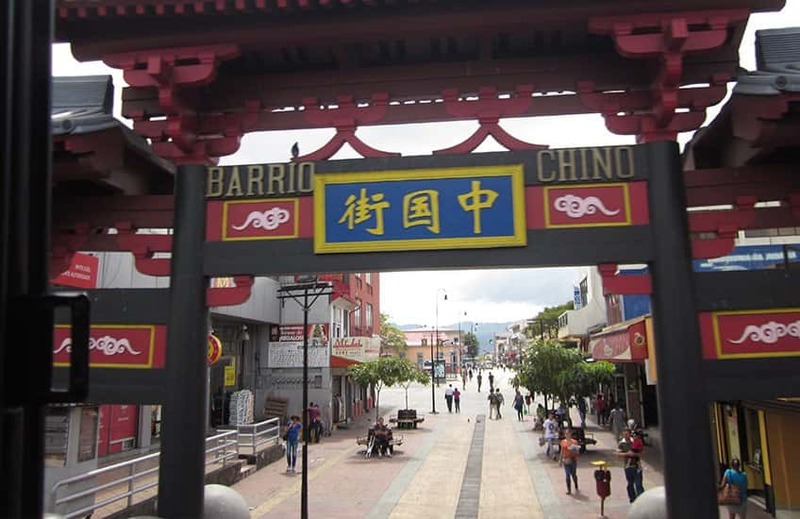 What does set this area apart are the minor details of the Chinese-style benches, stained concrete, trash cans, street lights and an increase in Costa Rican-Chinese citizens walking around those blocks. The Central Market is a well-known place in downtown San Jose, where many visitors experience the real daily Costa Rican life from the Ticos. This important market, along with San Jose’s Central Plaza and National Theater, are the most representative places of old City of San Jose. 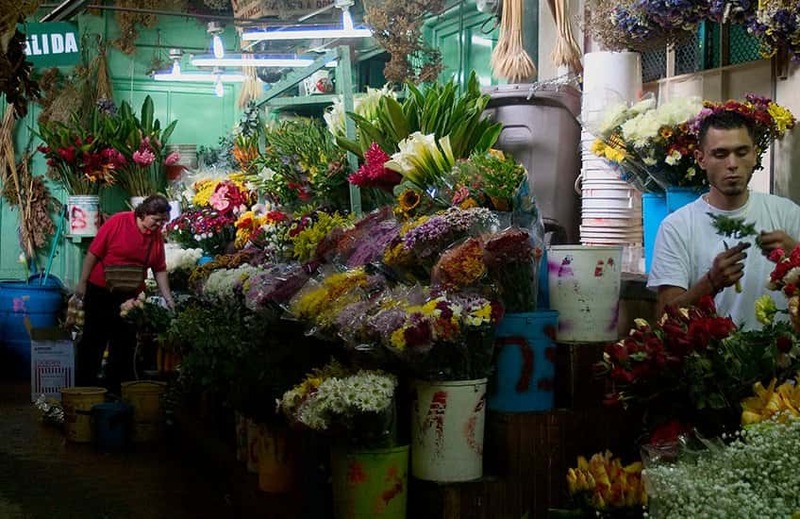 The Central Market, best known as Mercado Central, was founded back in 1882. It has been remodeled several times through the last years, however it keeps its tangle structure where one may enter and loose itself inside as the different narrow aisles (in different sizes and directions throughout the market) that take you to any of the small stores, groceries, sodas (little restaurants offering local food), butcher shops; just to mention a few. The market has several doors that flow out into main streets and avenues in the capital city. The Central Market is not just a commercial place; as a matter of fact, it has a life of its own. From sunrise to sunsets, it has a bustle that attracts over 20,000 people a day. It is a place to experience Costa Rica’s culture and history. The market is a meeting spot where people gather every day to discuss current national affairs. Typical Costa Rican food restaurants or sodas are the Central Market’s treasures. Delicious, steaming food is served into big pots for your delight. It is delicious and the secret lays on the fact that everything is made from old recipes with a touch of the cooks’ imaginativeness and innovation. Costa Rica is a great destination to bring the kids on a holiday. There are so many fun, adventure and educational things to do, that the only complaint from the families is that there aren't enough hours in the day to enjoy all them. An example of those things to do we got the tandem ziplining is the kid-friendly version of the canopy tour in Costa Rica, it brings much more fun than any rollercoaster as canopies are set in the middle of the forest, canyons, rivers, etc. At the expanding InBio Park just outside of San Jose, an insect collection gets kids and adults excited. The mushroom exhibit is a cool intro to Costa Rica's extra-large fungi. While you may spot monkeys, sloths and birds all over the country, for many kids the best part about a trip to Costa Rica is a visit to any of the volcanoes: Irazu, Poas or Arenal. If you are lucky, you may stumble upon a kid-friendly street festival in the capital city during the Holidays, featuring a fancy horse parade followed by an even fancier firework display. 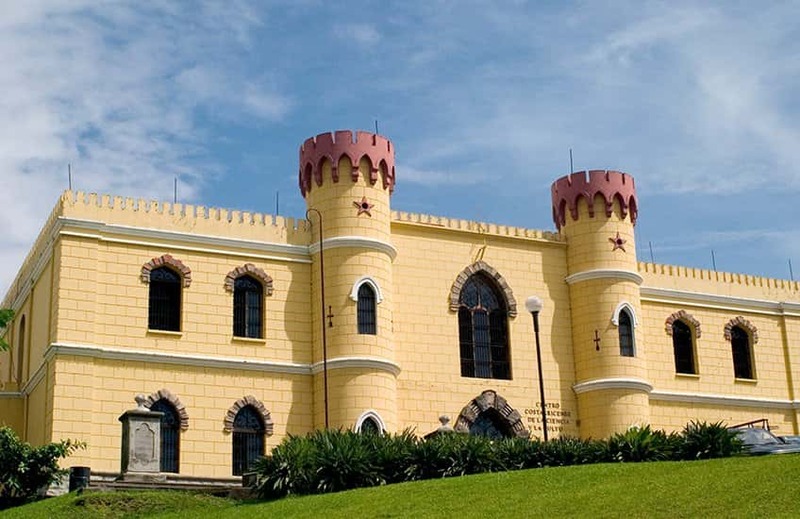 The Children´s Museum is housed in what was once a prison called Central Penitentiary in San Jose. Jail was closed in 1979 and was abandoned for over 12 years. Renovated since 1994 is been fully dedicated to offer world class galleries and more hands-on exhibits that focuses on contemporary concepts in technology, culture, science, knowledge, entertainment, literature and much more. And for children is now an excellent place to learn, play, laugh and explore. It has a fun house with an earthquake simulator. Kids and adults can learn about Costa Rica, the universe, the human body, animals, nature, electricity, ways of transportation, Egyptian culture, recycling, archeology, radio, TV and other varied topics. A place to consider when thinking about a family holiday. InBio Park is Costa Rica's national institute for biodiversity and conservation, and its main attraction is a theme park for all ages that introduces Costa Rica and so many of its natural wonders to the visitors. InBio works together with government agencies, public and private entities and universities to provide the most cutting-edge technologies and advanced science so that visitors cannot only see, but to learn, experience and be part of those wonders in a more interactive way. The result is a comprehensive park that leaves few, if any, stones unturned. InBio Park has a collection of more than 3 million insects, a very interesting Climate Change expose, an expansive mushroom exhibit and a Sustainable Trail, to mention just some of the attractions in store at InBio Park. Walking through San Jose will simply show visitors the country´s cultural patrimony where architecture plays a very important role. Some of the city´s main attractions include a visit to Jade Museum, Gold Museum and the National Theater and the Central Market in that walking tour. Learn a little about the different museums the city has to offer. The Gold museum stores one of the most impressive and extensive collections of Pre-Columbian gold in the Americas. It is the pride of Costa Rica. The admission fee includes access to the numismatic museum displaying very limited currency in the way of coins and bills, some date back hundreds of years. It is situated in La Sabana Park, West of downtown San Jose. Inaugurated in 1978, it features artists from Costa Rica as well as other cities of the world. This museum is ideal for all ages and it has free access on Sundays. The museum building itself is a piece of art in terms of design and architecture. Inside the museum, you can get to see over 3,000 art pieces that are housed on permanent basis, as well as special events and exhibits that fill the galleries. The Jade Museum and Pre-Columbian Culture was moved to a new enormous home in May 2014. For the first time in history the institution can now exhibit its full collection of some 7,000 pieces of jade, stone artifacts and ceramics, which date from between 500 B.C. and 1500 A.D. Visitors can find temporary and permanent exhibitions, guided visits, audio guides, workshop courses, seasonal cultural events, among other services. Opened back in 1994 in the historic National Liquor Factory, this museum exhibits modern art in a memorable setting in downtown San Jose. This promising gallery incorporates the architecture of the old liquor factory of Costa Rica between the Parque España (Spain Park) and the National Library across the street. The galleries are designed of an intricate series of art galleries, theaters, libraries and more. 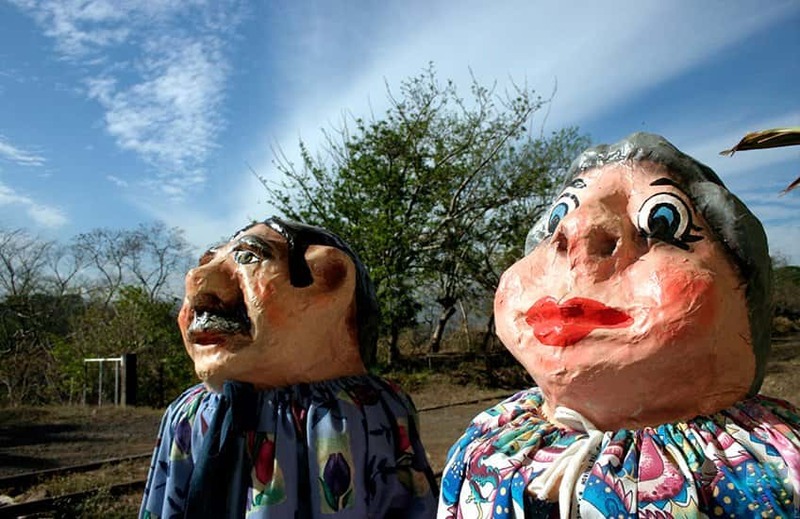 The accent is on trends in Costa Rican art, architecture and design. Situated in Second Avenue, 13 Street, this museum is run by Former President Oscar Arias´ Foundation for Peace and Humanity. In 1987 President Arias Sanchez was awarded the Nobel Peace Prize as recognition of his peace efforts in the conflict-torn countries of Central America. Showing in the museum visitors can find the stories of the road of peace in the neighbor countries, a rifle cut in half from the Nicaraguan President as a gesture of denial of war and the framed letter confirming the awarding Nobel Peace Prize. Oscar Arias was President of Costa Rica again from 2006 to 2010. In 2003 he was elected to the Board of Directors of the International Criminal Court´s Trust Fund for Victims. 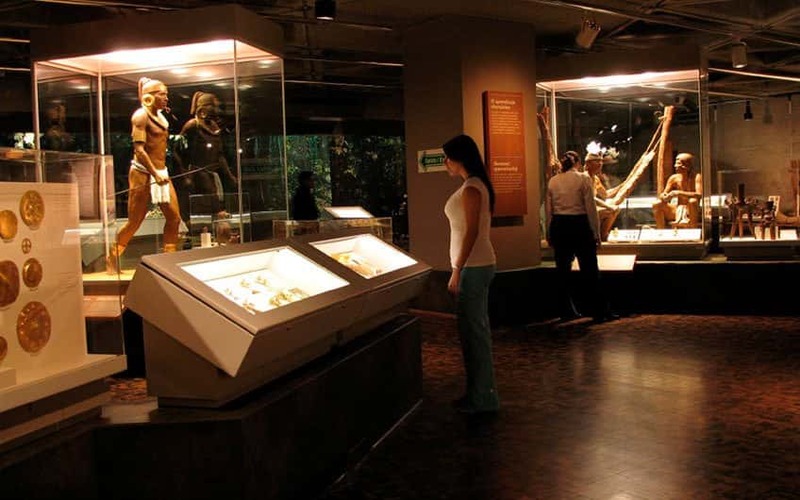 The Costa Rica National Museum even though is not the largest in terms of size, it has a display that is very meticulously thought out in terms of showcasing the timeline starting with Pre-Columbian art, to Colonial, Industrial and finally more recent collections. The National Museum is placed in the old fort where bullet holes dating back to the 1948 revolution still remain. Visitors can enjoy great views of San Jose from an observation deck found within the compound. This one is situated in the Western suburb of Rohrmoser, just a few minutes West of La Sabana Park still in the city of San Jose. This museum treasures a trove of photos, documentary films and much more. Access to it is free but visitors require a previous appointment. The Postal, Telegraphic, and Philatelic Museum is a diamond in the rough, and is situated in downtown San Jose in the main post office on Calle 2, Avenidas 1/3. The post office dates back to 1911 and is set against exquisite Corinthian pillars that adorn the façade. 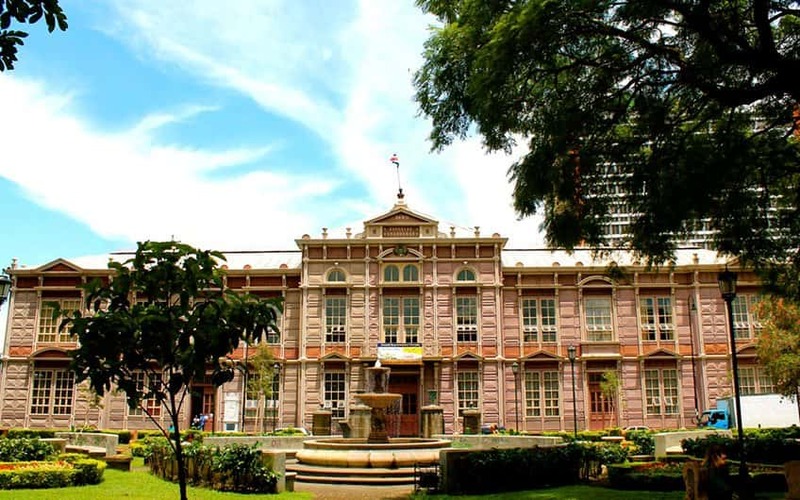 The museum is located on the 2nd floor and features some of Costa Rica´s oldest postage stamp collections, early phones dating back decades, philatelic history displays and much more. The tickets are a mere .35 cents and are actually in the form of a prepaid postcard. The Museum of Forms, Spaces and Sounds opened doors to its visitors in April, 2002. The museum is in San Jose in what was once the Atlantic railroad station that was built in 1908. All forms of sculptures in wood and stone, as well as musical instruments, and scale modes much more make up the unique displays and exhibits. The Costa Rican Center of Science and Culture is a science and culture museum complex in San Jose, Costa Rica. Located in a fortress-like building that served as the central penitentiary between years 1910 and 1979. The Center of Science and Culture was inaugurated in 1994. It houses several important institutions including the Museo de los Niños, the National Gallery, the National Auditorium, the Youth Complex and many others. In 1991, the First Lady Gloria Bejarano, wife of President Rafael Angel Calderon at that time, created the foundation “Help Us to Help”, to promote the Center's creation, which was inaugurated on April 1994. Some sections of the building such as the walls of the west wing and the facade were proclaimed historical and architectural heritage of Costa Rica in 1988. The Center's mission is to strengthen education among locals and to promote the national scientific and technological development. The 16th-century Spanish culture and its evolution stamped every day’s culture and life until today. Spanish language and Catholic religion as set as primary influences for that era because of the immigration of Spaniards. The Culture, Youth, and Sports Institute oversees the promotion and coordination of cultural life throughout the city and Costa Rica. The work of the Institute is divided into Direction of Culture, Scenic Arts, Visual Arts, Music, Patrimony and the System of Libraries. Permanent programs with the Youth Symphony Orchestra and the National Symphony Orchestra of Costa Rica, are conjunctions of two areas of work: Culture and Youth. "Pura Vida" is the most known phrase attached to Costa Ricans, and it reflects the Costa Rican way of life. Very often you can get to see people walking down the streets or buying food at local shops and saying hello by expressing "Pura Vida", which means Pure Life, or good life. It can also be phrased as a question or as an acknowledgement of someone's presence. A recommended response to "How are you?" would be "Pura Vida" as an answer. Dance-oriented styles, such as salsa, merengue, soca, bachata, cumbia and Costa Rican swing are enjoyed increasingly by older rather than younger people. The guitar is popular, especially as an accompanying instrument to folk dances; nevertheless, the marimba was made the national instrument. You can certainly still find salsa clubs and dive bars with disco floors in the city of San Jose, however if you are into something more eclectic or discerning then the new San Jose may surprise you. You can usually catch a singer-songwriter at the gypsy-style Café de los Deseos in Barrio del Carmen. Famous bands such as Tico superstars Sonámbulo Psicotropical, usually play at places like Mundo Loco El Chante in San Pedro or Jazz Cafe in the same location. Costa Rican local cuisine generally is not spicy. Throughout San Jose the most popular Costa Rica food is the national dish of gallo pinto, which is a mixture of fried rice and black beans usually served for breakfast with corn tortillas, fried sweet plantain and sour cream. Costa Rican small restaurants serving traditional food at an affordable price are called “sodas”. Is very common to see “casados” as part of their menu for lunch and dinner. A casado (which means "married" in Spanish) consists of rice, beans and meat (either beef, chicken, pork or fish), and normally comes with cabbage and tomato salad, fried plantains, and/or tortillas. The San Jose Central Market in downtown has numerous stalls and sodas locals and visitors commonly visit. Birders and tourists looking for interesting Costa Rica birdwatching tours might certainly want to head out of San Jose, however it is still possible to see quite a few bird species in the city area. Two of the best places for urban bird-watching are the campus at the University of Costa Rica in San Pedro and Parque del Este located farther east on the road to San Ramon, Tres Rios. You can get to see a mix of urban species, and if you are lucky you might see a couple of hummingbirds or still a blue-crowned motmot. Las Corridas a la Tica -which are the Costa Rican bullfighting-, is a very popular and frequently comic stadium event. So, instead of the blood and gore or the life and death confrontation that are seen in other traditional bullfighting, in Costa Rica the Ticos (how Costa Ricans call ourselves) just like to tease every bull on an event. In a typical bullfight or corrida, how we call it in Spanish, anywhere from 50 to 150 “toreadores improvisados” (literally: improvised bullfighters) stand in the ring waiting for the bull to joke, play and run around. What follows is a slapstick scramble to safety whenever the bull heads toward one bullfighter or a crowd of bullfighters. The most intrepid bullfighters try to slap the bull’s backside as the bull chases down one of his buddies. Bullfights are commonly seeing during the various City Fairs or Festejos Populares around the country. The largest city fairs are in Zapote town, a suburb east of San Jose, and it takes place during Christmas week and the first week of January. It is entirely a seasonal activity and occurs in San Jose only during those days. Same situation happens with Palmares fair through the end of January. In both locations, you can see bullfights scheduled. However, nearly every little town around the country has yearly celebrations that are spread out throughout the year. Let us know if you are interested in joining any of these fairs; if your timing is right, you might be able to take in one of these. The best spot for it is Parque La Sabana, or you can also head to Parque del Este. We don´t recommend to jog at night, alone, or on busy streets. Ticos take the football soccer very seriously. It is practiced in every school, neighborhoods, among family members or in a group of friends. Professional soccer in Costa Rica is some of the best in Central America, and the national team or Sele (for Seleccion Nacional), qualified for the World Cup in 2002 and 2006, although they failed participating for the 2010 World Cup in South Africa, they did qualify for the 2014 in Brazil, being that last participation the best performance in history! International and other important matches are held in the National Stadium on the northeastern side of Parque La Sabana. San Jose is the country’s hub for art and culture, with an array of creative shops and small galleries, as well as larger cultural institutions, most of those are within walking distance to each other. A good way to fully appreciate the arts scene in San Jose, Costa Rica is to join the monthly Art City Tour, which stops at a variety of venues. This tour has become one of the most popular civic events in Costa Rica. During the free tour, local galleries and museums open their doors to the public and free shuttles take people from one cultural hub to the next. This event is organized by the GAM Cultural, Art City floods San Jose with energetic young people, culminating in free concerts and parties. Tours vary on dates every month, however for a full schedule of art and cultural events for the month, pick up a free copy of GAM Cultural during your visit. This event is the best way for locals and visitors to enjoy a full range of art venues in San Jose. 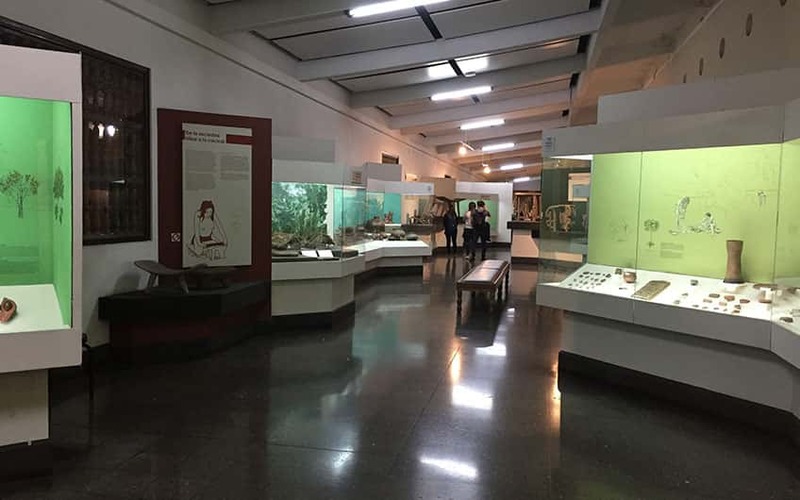 Jade Museum is a highlight; a newly expanded four-story building that holds one of the largest collections of pre-Columbian art and jade in the world. Visitors can also taste some wine outside the TEOR/éTica Gallery, a gusty little art space in Barrio Amon. Another unique cultural phenomenon is “Enamorate de tu Ciudad” which means “Fall in Love with Your City”, an ongoing series of performances and workshops in urban parks throughout the city hosted by the Culture Ministry. Enamorate events are also public for everybody and free. During Saturdays and Sundays La Sabana Park brings together hundreds of people joining different outdoor activities such as soccer games, jogging groups and large group zumba classes. Eñe is more than just a store, Eñe is a spot you should not miss if you come to the city of San Jose. It is located in the corner in front of the Yellow House in downtown. The store was named after the letter “ñ” (“énye”), that is only used in the Spanish alphabet, and which can be related with exclusiveness and unique designs. This place offers one-of-a-kind items and clothes from many different local designers. The store opened back in 2006, and is placed in a historical building recognized for its romantic yet modern style from the 40’s. In here you can find lots of art and creativity in every corner. Use your senses to witness the smell, colors and textures; it is an experience you shouldn’t miss. Clothes, purses, wallets, jewelry, artwork, home décor and stationery, just to mention some with a unique Costa Rican touch. If you are looking for a place that puts together art, creativity and local design and provide personalized service and totally a different experience, then this might be the place to visit. This modern/contemporary venue houses a cafe-restaurant with outdoor and indoor seating areas, as well as a boutique shop and art gallery that features the work of Costa Rican artists and designers. Some of the exclusives include accessories and clothing for women, home decor, illustrations, locally produced art magazines and books. Kalu Design store serves as a point of contact between the visitors and the talented designers and producers of Costa Rica, through a meticulous selection of local products that stand out for the authenticity, the quality of the elaboration, the sustainability of the production processes and the Sociocultural contribution. Each of these products make up material representations of the urban culture of our Costa Rica, and each one has a captivating history to tell. So, not only producers with those characteristics can show and sell their products at Karlu, but also can receive feedback from a committee on materials, design issues and business strategy, reassuring innovation and the chase of quality. Kalu store also seeks to give visibility to new local prospects in ​​the plastic arts, through curators and occasional exhibitions of their art work. Those exhibits take over the whole galleria and Kalu restaurant to be enjoyed, learned, experienced and acquired by the visitors. Famous for being the first bookstore and gallery in Costa Rica specialized solely in photography and cinema. The Libreria Centralopened in 2013 and is housed in an imposing former private residence, with an ample gallery space that hosts alternating exhibits. The bookstore also has a small screening room and a café with a great menu that serves lunch and dinner. Right in Barrio Amon, in downtown San Jose you will find Talentum, a combination restaurant, coffee house and art gallery. Visitors know it will be a fun place as they approach Talentum (north of Holiday Inn Hotel). The building was previously an old fashioned but proper private home built in the 40’s. The creative people who run the gallery decided to attach wood chairs to the wall outside the building, so that people can easily see the art from the street as they walk through. That initiative invites to visit the place! Everywhere visitors look inside they will see art objects; some of them funny and surprising and maybe a bit silly, but others very impressive pieces. The art pieces’ range from mobiles hanging from the ceiling to oil paintings, to ceramics and carvings. Almost every piece is from what Talentum calls, an “emerging” Costa Rican artist. On the second floor, there are two showrooms that are reserved for rotating exhibits of mostly Costa Rican artists, as well as some foreign Latin American artists who now reside in our country. These exhibits by a single artist generally last a month. The mostly contemporary art contrasts very nicely with the antique furniture in the cafe, which has indoor and outdoor seating. This contemporary art museum is the gathering space for the TEOR/éTica Foundation, a non-profit organization that supports Central American art and culture. It is housed in a pair of selected mansions across the street from one another, where each of its elegant rooms exhibits innovating works by established and revealed figures from Latin America and the rest of the world. TEOR/éTica doesn’t sell the work it exhibits, but it’s worth visiting both of its two venues: one that hosts momentary exhibits of contemporary and modern art. The other just across the street is called Museo Lado VA, which features a display of artwork from the private collection of the curator Virginia Perez Ratton. Despite its small size and humble location, TEOR/éTica is one of the most respected galleries in Costa Rica. Its curators attract collaborationists from all over the world, and many of its shows have been edgy, smart, and moving. They have done an excellent job representing multi-ethnic, women and LGBT artists. On the other hand, TEOR/éTica is best known in Barrio Amon for painting its exterior with a diverse range of murals. Some of those murals have been so provocative that passersby have damaged them. Various artists have decorated the walls with cartoon animals, raw data and Chinese characters. Figures may be imaginative and honest, but they are also sophomoric and ugly. In a city like San Jose full of eye-catching public art, these murals are just annoying. Sometimes art is hard to get; other times it is not worth getting. In the artsy Barrio Amon in downtown San Jose visitors can find Namu Gallery, that showcases the works of indigenous tribes from all over Central America. People can find beautiful Brunka masks, Wounaan baskets and carvings, Cabecar crafts, and so much more. The owners of Namu Gallery are known for paying the artists both fairly and immediately. This boutique hotel perches on the edge of a 125-acre rain forest reserve near the base of the famous Chirripó peak, right in Chimirol de Rivas, east of San Isidro De El General, Costa Rica. Hotel guests will be amazed by works of inspired residents, who often end up exploring the natural beauty of Costa Rica in their art pieces. The stylish hotel itself is also a work of art, as are the delicious meals served at on-site restaurant. Monte Azul Boutique Hotel is placed in a category of its own as all spaces are regularly curated with fine art by both national and international artists. Many pieces are thought and produced in Monte Azul’s on-site artist-in-residence program and some of those pieces travel to the Monte Azul Contemporary Art (MACA) Gallery in New York City. Totally inspired by the natural surroundings and the local community, the artwork adds a new dimension to each guest´s experience. In the room, there are halogen lights to illuminate the art and a pricelist with artist biographies. Since the public and private spaces throughout the hotel function as galleries, they are continually changing; actually, guests can request that their room be curated with a particular artist for his/her stay. 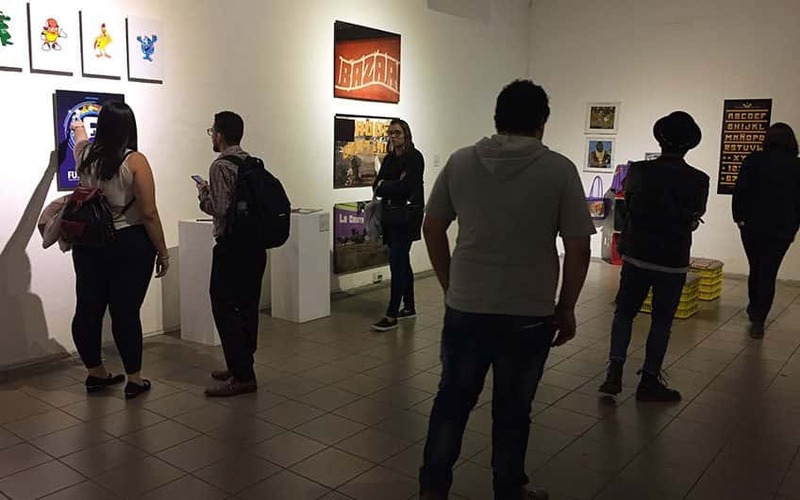 For collectors, this is a meaningful way to expand fine art collection, while for tourists this is an opportunity to buy something that not only holds a unique value but also speaks intimately to the experience in Costa Rica. This is not only a hotel for writers and artists, but also a hotel for any guest who wants to comfortably disconnect in search of creative solutions. Monte Azul is a place to incite the senses, to shift the perspective and to exercise the creative muscles. 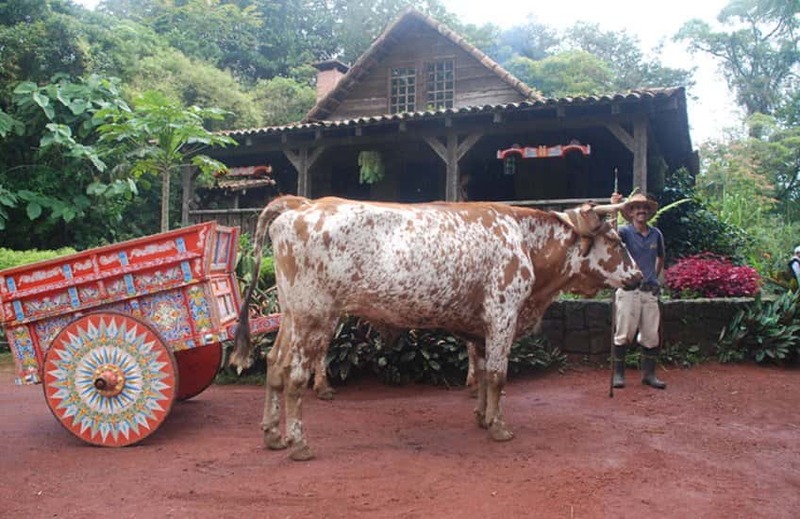 Sarchí is very well known as the home of the oxcart, a vibrant Costa Rican symbol and former coffee transport device. Sarchí is a quaint mountain town populated by artisans. 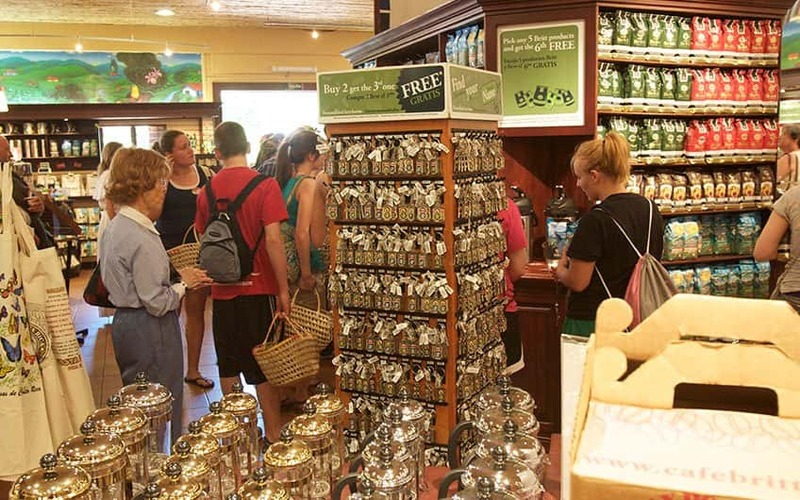 It’s a wonderful place where souvenirs range from furniture, jewelry, to miscellaneous adornments. 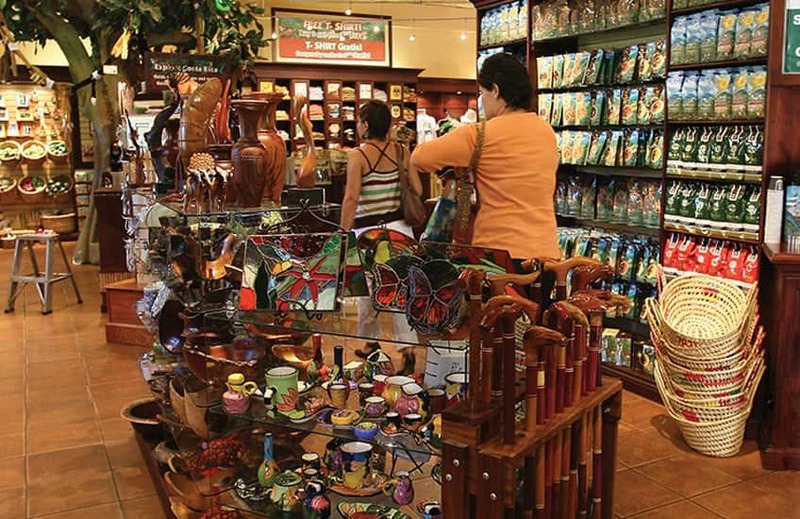 Very picturesque souvenirs representative of Costa Rica´s culture and traditions. Check out the massive oxcart painted in bright colors: oranges and pinks. It is presiding over the town square; thus, nobody can miss it. The National Theatre of Costa Rica opened in 1897, is housed in a grand building that holds its own against any great performance houses in the Americas. The National Theatre stood as a cultural asset of Costa Rica during a time when coffee exports were a source of success. The building is considered the finest historic building in the capital city and it´s known for its elegant interior which includes its extravagant furnishings. It presents high quality performances several times a week, with high artistic criteria. The theatre is a tourist attraction and visitors can experience performances by the National Symphonic Orchestra (NSO) that includes both Costa Rican and foreign composers. Even if visitors don’t have tickets for a performance, they can still visit the theatre during the day to admire the lobby, look over the small gift shop and perhaps have a snack in the elegant lobby cafe. There is something for everyone after the sun sets in San Jose where visitors can enjoy in a lightened and specially decorated at night. Many of the restaurants and cafes in the most popular towns of the city are also great options for people to enjoy in the afternoons or at lunch time. San Jose has a wide variety of options for everyone´s needs and likes. People will find restaurants with local and international cuisine where specially is focused to serve vegans, gluten free meals, meat lovers, dessert only tasters! So, feel free to visit any of these locations as per the ambience, menu, location and the time in the day interests you! Barrio Escalante, connects San Jose downtown with San Pedro de Montes de Oca. It is the last neighborhood developed in the East of San Jose, so, its architecture is secured almost intact, like its history. The coffee boom of the early 20th century inspired the creation of new neighborhoods for wealthy local people. Otoya and Amon neighborhoods had already emerged from that process. They were the “new rich” some years ago, thanks to coffee and its lovers. Barrio Escalante is today a center of culture in San Jose with a wide range of cuisine and entertainment. Visitors will see its small, independent patios, brunch hot spots, cafes and bars. 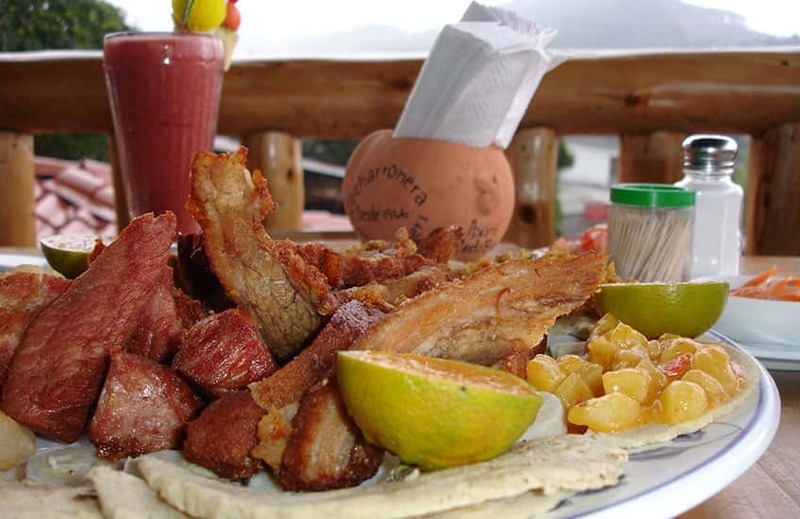 There you can find craft beer, good wine, tacos, chifrijos (rice, beans, little pieces of pork, limed tomato, avocado and chips; all served together in a bowl), bocas (bar snacks, like tapas) for either lunch or dinner. Full-on proper dinners are also part of the options at fascinating restaurants like the Mediterranean Ay Sofia or the Spanish-inspired and casual Tapabocas. Off Escalante’s main attraction; the bright and contemporary Kalu Café and Restaurant is owned and run by one most renowned chefs of the city: Camille Ratton. Ladies and men lunch there and enjoy elevated Latin fare in a modern and clean space that opens out onto a minimalist garden patio. The brand new, Saúl Bistro recently opened its doors in Escalante neighborhood with a concept that combines different environments for its visitors. The restaurant stands out for its different atmospheres. From one of the terraces located at the front of the restaurant and named La Playa (The Beach), to the intimacy of the Redondo Hall, ideal for couples, Saúl opens a space within the gastronomic offer of this busy neighborhood. The Saul chain has become a brand beloved by the public since both its original style and the quality of its products and the contemporary atmosphere that combines the European avant-garde with a strong Latin identity. At night, Ravi, El Patio and the Costa Rican Beer Factory attract those looking for an option to the city’s Irish bars and oversized dance clubs, of which there are a great number. And if we move towards West downtown, there are fewer clubs in the central core in Barrio Amon area, which is home to more traditional bars and restaurants and close to the amazing Mercado Central. 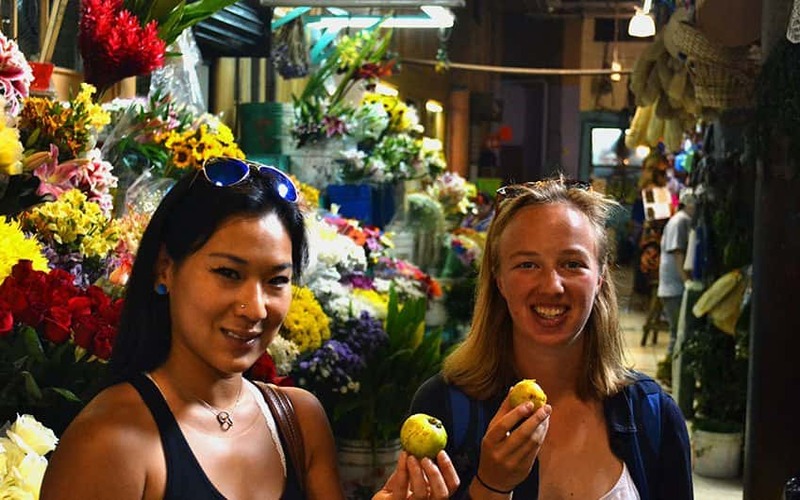 Spread out over three large buildings and out onto side streets, this working Central Market is refreshingly light on tourist wares and instead, offers pets, local produce, flowers, seafood, meat, sweets, coffee and the occasional used record, and book stores. There are also dozens of packed sodas offering lunch counters with rustic stews, seafood, fried plantains, fried empanadas, ceviche (marinated fish), tamales and world-class espresso coffee. San Jose Costa Rica, is home to a wide range of local and out-of-radar delicacies as well as of Argentinian, Italian and Spanish restaurants. Over in the Barrio Chino or Chinese neighborhood, some outstanding Asian food can be found at restaurants like Tin Jo, that specializes in fresh and bright Thai and Vietnamese dishes, and Don Wang’s, featuring more traditional Chinese food. The fun visitors have in San Jose, is not immediately obvious, but if they put in some effort and disclose the Latin-fusion food scene, the outstanding traditional sodas and especially that uniqueness of a bar in the Central Market, gusts will start finding that an extra night in San Jose might be appealing. Vertigo Club is famous of having visitors´ heads spinning and their feet moving on its expansive dance floor with high roof ceilings. It is a popular club that features special events throughout the year with DJ´s rolling the latest techno, house and hip-hop music. Although it is in a business district of San Jose, its modern rave atmosphere makes for an “out of this world” party experience. Vertigo Club is considered one of the leading clubs in Central America, it has hosted some of the best parties with the world's top DJs and has not long ago undergone through a major makeover including a brand-new state-of-art sound system. If you really want to dance in San Jose, Castro's is the place. The music ranges from salsa and reggaetón to electronic rhythms selections, though it is always upbeat and focuses on Latin music and moves. Castro's is not a fancy disco, but dressing up is not rare and flip flops will not make it past the doorman. True to its traditional roots when Costa Rican dads and granddads used to come from other provinces to the capital city to dance, Castro's still offers little snacks, called bocas with drinks. Drink discounts and special promotions available on daily basis and make Castro’s Disco a long-standing best-liked with locals and tourists. Cuartel de la Boca del Monte was once a modest creation for artsy types however it has become one of San Jose's trendiest places for anybody, especially the young and hip set, who throng to El Cuartel for the scene, the live music, the bar which take place every Monday, Wednesday, and Friday. One section of the old house where the bar is placed was remodeled in 1985 and has been fashioned into its own small bar called La Esquina, which is a pleasant spot to tuck into an appetizer such as the green plantain ceviche or the Cuartel salad, not to mention a sip on one of the 200+ cocktails on the menu! It was once the only place in San Jose to check out with high quality live music, especially jazz. The Jazz Cafe remains the best venue to visit, see, hear, drink and eat under one roof. It is placed in the San Pedro neighborhood; East of San Jose and it has a restaurant with good food and a full bar to go with the music. All shows vary from night to night, and some past artists have included Julien Lourau, Mike Stern, Dennis Chambers, Diego Urcola, Steve Smith, Frank Gambale and Scott Henderson, to name just a few. Visitors will find tourists, locals, expats and an international crowd at the Jazz Cafe, so it is a friendly place to socialize with musically like-minded folks in the city. Nightlife appropriate for the whole family, the Little Theatre Group offers productions in both English and Spanish, and is well known as the oldest troupe in Costa Rica; it is now in its 62 years. The group's experience and capable management is evident in the top-quality productions it puts on throughout the year, generally 4 different performances per season. Previous shows have included the Canadian Noel Montagano's "Tuesdays with Morrie" and Agatha Christie's whodunit "The Mousetrap". Both inexperienced but professional actors were selected during casting calls, lending a dynamic mix of maturity and enthusiasm to performances. As the name suggests, the theatre itself is intimate and has its audience in close connection with the stage. San Jose has an outstanding variety of restaurants serving food from all over the world. You can find exquisite Italian, French and contemporary fusion restaurants around the city, as well as Japanese, Peruvian, Swiss, and Spanish places. The greatest variety and concentration of restaurants is in downtown area, as well as in the nearby Central Valley suburbs of Escazú and Santa Ana, West of the city. If people are looking for cheap places, they can still find them across the city in little restaurants recognized as sodas, which are the equivalent of diners in the United States. Fresh fruit vendors got their spots on almost every street corner in downtown San Jose. If you are lucky enough to be in town between the months of April and June, you can sample more varieties of mangoes than you ever knew could be found in the tropics. Be sure to try a green mango with salt and chili peppers, it is guaranteed it will wake up your taste buds. Another common street fruit is the pejibaye, a bright orange palm nut around the size of a plum. While Costa Rica is still possibly better known for its verdant natural attractions and amazed-inspiring beaches, the fertile land that produces a tasty assortment of fruits and vegetables throughout the year. Costa Rica is blessed with one of the world’s finest tasting coffee and cacao, and has been capturing the hearts and taste of visitors for years. With cacao and coconuts dribble from the trees along the Caribbean coast, it is just a little wonder why Costa Rica is such a healthy, happy and peaceful place. At the time visitors explore rainforests, climb volcanos and splash in waterfalls, they should map out a relaxing and refreshing meal. Traditional Costa Rica dishes often include rice and beans; in the morning, they’re mixed together there is where gallo pinto comes from. 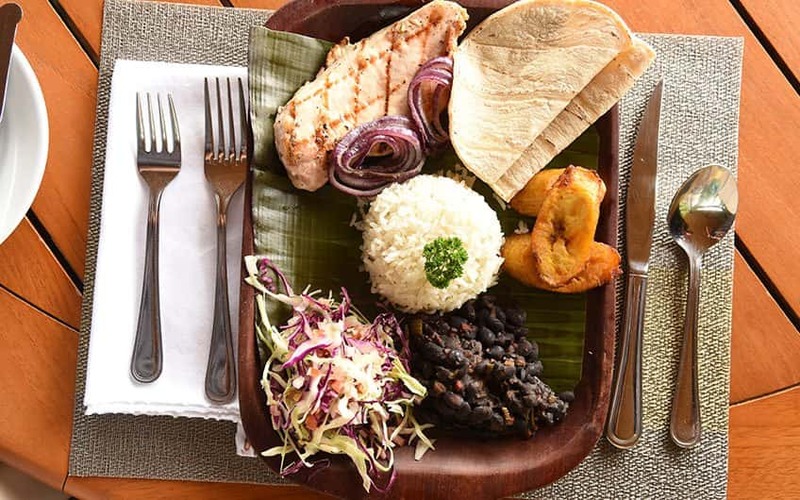 Later at lunch, rice and beans are served as sides in a “Casado”, a traditional Costa Rican dish. 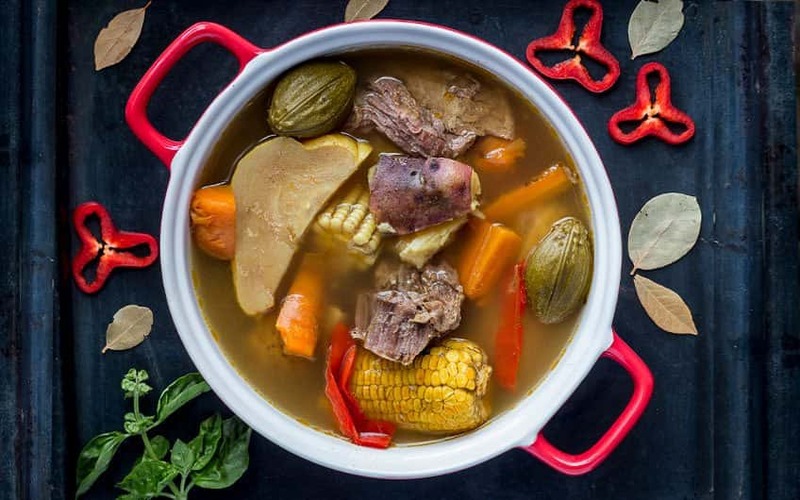 La Criollita in San Jose offers an affordable menu and ambiance rooted in Costa Rican traditions, while across town at Le Monastere and Grano de Oro Restaurants are exceptional French chefs in the kitchen. Tin-Jo will satisfy your craving for excellent Asian food. Located in Santa Ana, West of San Jose. Doris Metropolitan Restaurant was thought for those with a desire for high-quality meat. A stand-out and standalone restaurant in San Jose, although there is now a Doris Metropolitan stateside, as well. Compromised with the locally-grown movement wholeheartedly, Doris Metropolitan partners with a cattle farm in Costa Rica southern area to specially raise cows that are fed not only with grass but with pineapple as well, which gives it an extraordinary marbled texture and distinct flavor; both of which tend to be lacking in Costa Rica's beef. Specialties include meat all-naturally cured in a process known by experts as French Dry Aged and Chateaubriand Tenderloin. 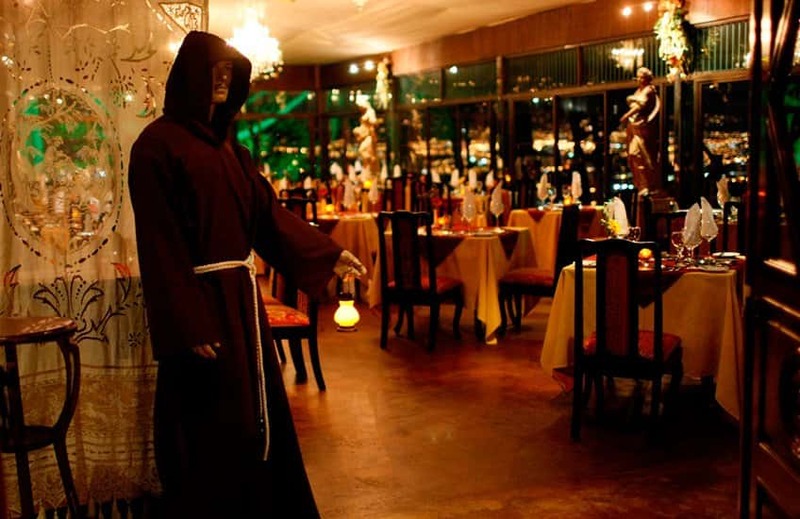 Located in the high mountains of Escazú, West of San Jose and providing a magnificent view of the Central Valley, Le Monastere prepares and serves expertly, from escargot and French Onion Soup to the chef specials like Seabass filet in Tarragon Cream Sauce and Venison Tenderloin Flambee in Port Wine. The menu is extensive and impressive and is improved with daily specials and always includes fresh local produce from some of best local farms and gardens. Guests can choose from a wine list 300 bottles long. Even the desserts are too decadent not to accept a try of any of the great selection; Orange Soufflé, Cointreau and Creme Brule are just the beginning. And to those looking for more than an exquisite gourmet meal, the ambiance at Le Monastere is a without equal experience: take in a just about 360 degrees from above the city from a historic former monastery fully decorated in traditional European style down to marble unique statues, authentic antiques and live classical music played on a luxuriant grand piano. This is the place for a romantic candle light dinner. Tin-Jo Restaurant has properly named itself "the best" Asian Cuisine restaurant in Costa Rica, offering delicious, healthy Asian food from its home in an original colonial house in the heart of San Jose. What started out in 1972 as a Chinese restaurant has blossomed into Viet Nam, Thailand and Japan for its inspired and varied menu. The menu is full of naturally gluten free and vegetarian options, and the desserts are exotic and to-die-for without being bad for the health. Tin-Jo also offers meditation and yoga classes throughout the week, and hosts candles every Wednesday evening, so the lights are off in favor of candles. Televisions are inexistent in this restaurant and on Wed.
cell phones are turned off in the Bamboo Room, a sanctuary annex of Tin-Jo main Restaurant. It is a whole experience so if your palate is into Asian flavors, this is a place to give it a try, you won´t regret. This restaurant started as a regular hotel café, which has expanded and improved through the years to become one of the country's finest casually-elegant restaurants with so well-earned reputation. This restaurant is situated off the Grano de Oro Hotel's central courtyard which provides for pleasant seating options on accommodating days. A French Chef is behind the European menu and fusions Costa Rican influences into it. The menu features seafood, chicken, beef, gourmet salads, soups and vegetable offerings. If you want to go downtown San Jose for a gourmet and elegant experience, then you may want to visit Grano de Oro Restaurant. Try the Gorgonzola-stuffed filet mignon or the macadamia-encrusted corvina, but absolutely whatever you choose will shine. And most certainly make sure you leave room for a dessert as the offerings here are succulent. Product C is part of an expanding group of restaurants in our country that embodies a locally grown movement, serving fresh-caught seafood that passes very little time between the water and the table. What started as a beachside fish shop project in the surf town of Mal Pais beach in the Pacific Coast, has come into two modern concept restaurants in the capital city that serve locally and sustainably caught seafood including four kinds of ceviche and untreated warm-water oysters. The chef works with the fishermen directly, then brings his own creativity to each dish, and the results are flavorful, fresh and possibly even unforgettable. La Criollita is an excellent place for breakfast, lunch, and dinner in downtown San Jose. It has something on the menu for everyone´s tastes and budget. The fare is traditional Costa Rican and they serve generous portions of meat, chicken and fish with rice, beans, salad on the side. They also have a big selection of delicious appetizers like Tico-style ceviche (marinated fish) and a tasty chicken soup to sharpen the appetite. There are three dining spaces within the restaurant for guests to choose from: a main room that overlooks the big and busy kitchen, a bright and breeze side room with walls filled of art and a charming covered outdoor terrace with a bird garden and fashioned iron furniture. There is hardly a wait for a table, but lunch time during week days fills up early with nearby business people, so breakfast and dinner are ideal for settling into a relaxing meal during your Costa Rica family adventure. The coffee is remarkable as well, and it is important not to forget to save room for a dessert; check the options out like cheesecake and flan on display under the glass on the way in. Bonus: Full Bar. Still in downtown San Jose with white linens and the sound of old tango calls forth the atmospheric bistros of San Telmo, as does the menu that features grilled Argentine cuts of steak, an extensive selection of fresh pastas in exquisite sauces and house-made empanadas. The excellent South American centric wine list is always available at this corner location restaurant where attentive service and glimmering candlelight make of this restaurant an ideal place for a date. Reservations are suggested. This longstanding local restaurant serves up excellent Peruvian cuisine in a remodeled old home just off of Paseo Colon, still very closed to downtown San Jose. The menu is extensive, with a wide variety of ceviches and other cold and hot appetizers. The parihuela is a delicious seafood soup almost big and rich enough for an abundant meal. The corvina Machu Picchu is a sea bass-filet served in a seafood and cognac sauce. The house drink is the classic and famous Peruvian pisco sour, made in a blender with pisco, lime juice, ice, and a white egg. A second branch of this Peruvian restaurant is in San Pedro, East of San Jose. A third restaurant still within the area is in Escazú, which serves up a more specialized menu of tapas style with outdoor seating on a large covered patio with a fantastic view. This last restaurant is located on the old road between Escazú and Santa Ana. A genuine 50´s-style diner with showy red-and-white decor on its walls, chairs, tables, signs, plates; you name it! This place is permanently filled with families and couples that generation after generation have been looking for grilled sandwiches (their specialty) and generous “casados”. If you have the spirit try the enormous “El Gordo or Lorenzo Tapia”, which are pile of steak, cheese, onions, lettuce and tomato served on Spanish bread. Lorenzo has smashed beans on it as well. Save room for a dessert: different fruit flavors ice-cream and fruit sundaes are a specialty here. At this well-chosen fusion of French restaurant and antique shop, Michelin-starred chef Richard Neat by offering a delicious degustation menu highlighting smaller sampling plates (Spanish tapas style) and a carefully selected and curated wine list. The romantic, candlelit courtyard is decorated with Asian antiques pieces imported by Neat's partner: Louise French. It is near La Sabana Park´s northeast corner (100 m N. from Rostipollos Restaurant). The stimulating menu includes classic flavor combinations such as beef carpaccio with mustard dressing, alongside innovative offerings such as crab ravioli with ginger cappuccino and asparagus, crispy leg of duck with cucumber and mint salad or Gorgonzola gnocchi with prune stuffed pork fillet. Every single plate prepared with passion and talent by Neat himself. An eight-table limit builds up the intimate atmosphere at Park Cafe. Most visitors travelling to Costa Rica try to get out of the city as fast as possible so that they can spend more time on the beach or off at the rainforests. But just furthest San Jose in the Central Valley there are also several amazing things to see and to do. With day tours out of the city visitors can spend quite a few days in this Central Valley region. Costa Rica might be a small country in Central America, however it is anything but short of breathtaking things to do and to experience. And there are certainly a great variety of must do in San Jose Costa Rica, from East to West, North to South, Costa Rica is packed with natural riches, fascinating attractions, and adventurous options. No wonder why people should travel to Costa Rica! Among the most popular activities with transportation back and forth from the main San Jose City hotels; we got the Volcanoes, the authentic experiences, the adventure tours, among other activities. Easily accessible from San Jose, many tourists visit the Central Valley on day trips to see two of the most popular attractions here, the Poas Volcano and the Irazu Volcano, both situated inside national parks of the same name, these volcanoes have played an important role in the history of the region. 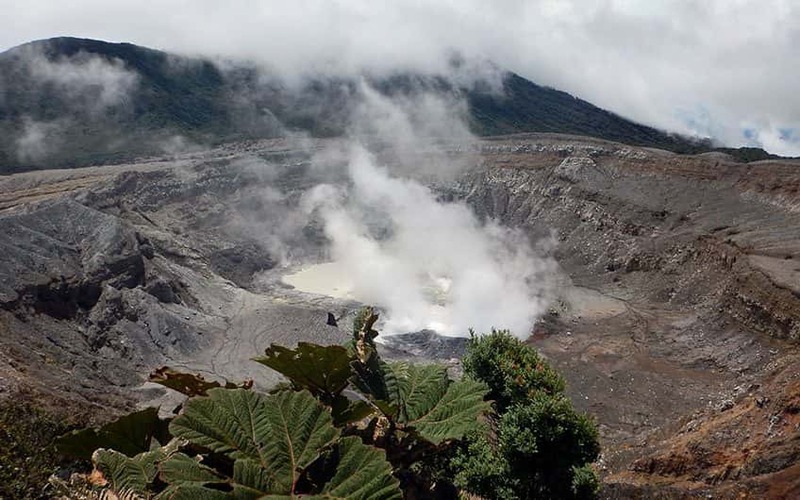 One of the oldest and best known national parks in our country is the Poas Volcano National Park, home to the Poas Volcano which has been the most active volcano in the country. Though its crater steams and bubbles on a regular basis, it does not pose any treat of eruption at this point. There is an observatory area in the park from where visitors can view the bubbly crater, making visiting the volcano worth the trip. On the other hand, the Irazu Volcano is the largest and highest active volcano in Costa Rica. Last erupting activity was on March 19, 1963 when US President John F. Kennedy visited Costa Rica. From the summit of this volcano on a clear day you can see both the Pacific Ocean and the Caribbean Sea. In one of its craters there is visitors’ center, while there is also a short trail that leads to the rim of volcano’s two craters. Including those volcanoes and some other attractions in combination in the volcano surroundings you can find the following full day tours or half day tours: Irazu Volcano National Park for a few hours, a visit to La Paz Waterfall Gardens, a visit to the Poas Volcano National Park for a few hours only. A full day tour to Irazu Volcano, Orosi Valley and Lankaster Gardens is another great opportunity for nature lovers! A combination of a visit to La Paz Waterfall Gardens and the Poas Volcano and Doka Coffee Tour, where visitors can learn about the “golden bean”, as the coffee is called sometimes in Costa Rica, as well as its importance to the local culture and economy. Not to mention the crystal blue sulfur lagoons that will amaze in the volcano. At La Paz Waterfall Gardens visitors, can walk through the hummingbird garden, the butterfly observatory and the waterfall trails. And for those looking for adventure tours we highly suggest Colinas del Poas Canopy Tour , those loving high adrenaline activities the cannot miss canopy tours in San Jose. The Pacuare Rafting Tour, class III-IV, one of the best rafting tours in San Jose and Costa Rica, where real adventurers can experience the rush of Costa Rica's world-class whitewater rafting on one of the best rapids. If the ride does not take your breath away, the scenery will certainly do it. At Travel Excellence, we support the young, local entrepreneurs whose interest is to share and reinforce the local roots, including the city and rural life. These come to complete part of the Cultural experiences in Costa Rica we proudly offer. 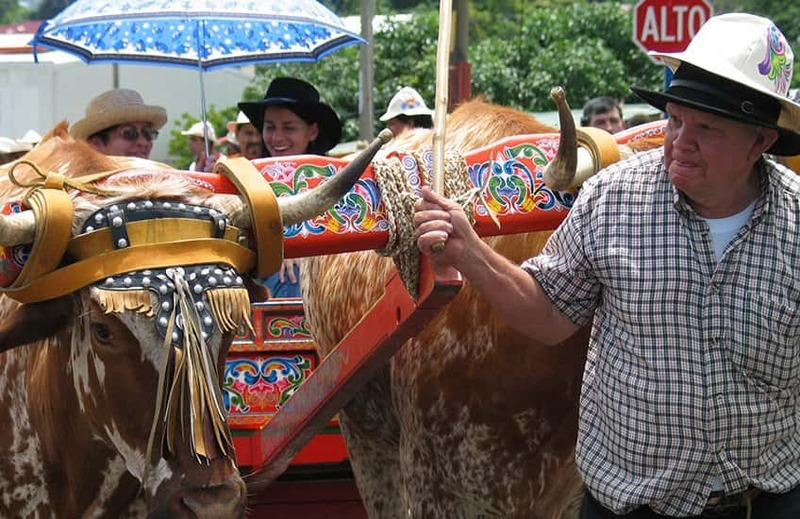 In San Antonio of Escazú, we can find the rural San Jose, where locals hold up their most authentic traditions. Calm and simple life govern here, and people are always willing to share their way of life. In addition to learning about the cultural richness of rural life in San Antonio Escazú, visitors can explore at the same time the majestic hills that are spread out on the beautiful town of Escazú. Visiting this location will give visitors the opportunity to learn about any of the following aspects: Traditional fruit harvest including sugarcane, the well-known traditional coffee, spinach, carrots, lettuce, and cilantro. See how fresh-water springs and dense forest play an important role on that tour. Additionally, Cooking Lessons in San Jose involving the great culinary traditions in Escazú, Volunteering for a Day in San Jose, etc. are part of the activities in the location. In a not so far area, just around 40 minutes driving to the West of the city visitors can find Palmichal rural town, where a variety of activities and Costa Rica tours in the nature and quality service and warmth are also available. Locals goal and desire is to convey the love and respect for the environment, wealth and secrets and for them to share that with people around the world they have accessible some different activities such as: butterflies, fruit trees and coffee, dairy tour, renewable energy tours and a tour to enterprising families. Chepecletas is an energetic Tico-run organization that offers cultural walking tours and free cycling tours of San Jose, a bar-hopping tour focused on popular downtown cantinas (canteens). They also have a foodie-oriented exploration through the Central Market and a guided visit through San Jose's parks and green spaces. A nighttime biking tour once a week and different group rides every Sunday morning are also available in town. We work also with a group of young people who came up with an idea of creating Carpe Chepe, basically with the main purpose of letting visitors experience San Jose’s nightlife like the local crowd does and in a safe way. Guides are local talents with vast experience drinking in the San Jose’s venues and wish to share some of their favorite spots. They would take visitors to four bars, pubs and clubs, who decide for how long they wish to stay in the most liked spot or spots in the night. Visitors drink, they drive you around safely! Now, if traveling further out of the city to live a totally different experience during your vacations then these might be some options you may want to consider. If being outdoors and observing wild nature with your own eyes is your desire, then hiking the amazing Chirripo National Park should be part of your tour to complete your beautiful experience in Costa Rica. You will experience incredible landscapes, take a breath in the fresh air and immerse in the wonderful nature of the world around. This tour is available on a 4-day / 3-night experience and can be combined with other areas of Costa Rica in a customized vacation. Trekking is so good for your health, and an intense workout that will certainly burn all those extra calories! A breathtaking tour out of San Jose is a visit to Corcovado National Park. You can get to visit the richest region of Costa Rica in terms of wildlife and biodiversity in the South Pacific. The Corcovado National Park is widely recognized as the "crown jewel" of natural preserves. Corcovado must be visited on a 2 or 3-day trip with a little advanced planning. Corcovado is home to more than 500 tree species, and an extraordinary host of wildlife, such as the two & three toed sloths, white faced capuchin, the endangered squirrel monkey, the mantled howler monkeys and several jungle felines, including puma and the jaguar. Corcovado houses the greatest number of Scarlet Macaws; their bright feathers are often spotted flying overhead. We would be happy to set up your arrangements as a package through any of the South Pacific hotels we work with. Serious and real shoppers may be disappointed while staying in San Jose for that purpose. Aside from coffee and oxcarts, which are totally local there is not much that is precisely from Costa Rica. To compensate for its own lack of goods, San Jose (and all of Costa Rica) does an active business in selling crafts and clothes from Panama, Guatemala and Ecuador. 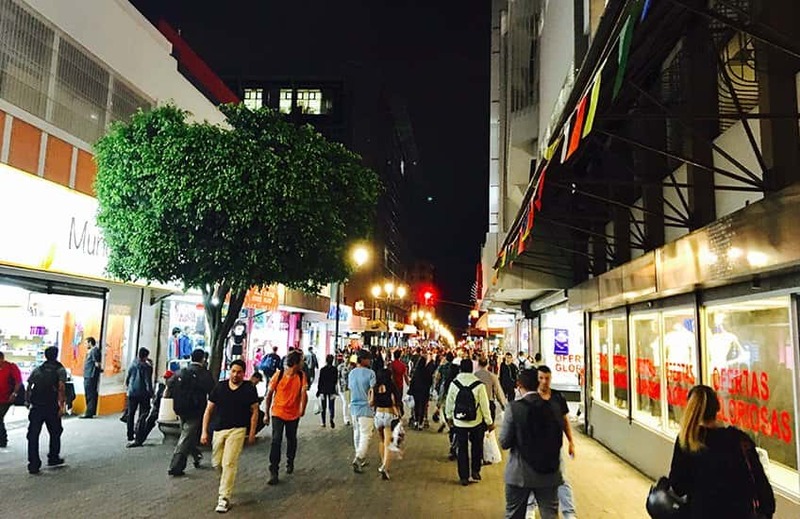 As far as particular points for central shopping in San Jose, visitors will find a corridor that is bounded by avenues 1 and 2, from about 14 Street in the west to 13 Street in the east and for several blocks, west of the Plaza de la Cultura (Cultural Plaza). 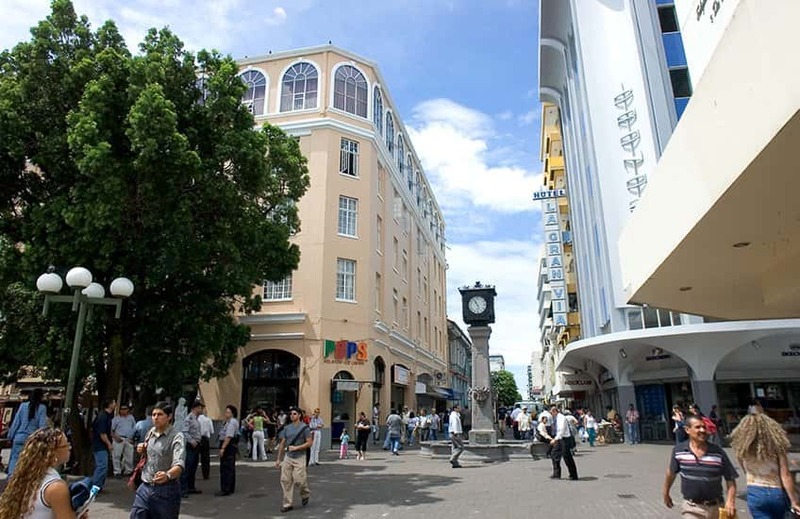 The Central Avenue is a pedestrian-only street where visitors can find store after store offering clothes for men, women, and children at reasonable prices, including sales and import taxes. Most shops in the downtown district are open Monday through Saturday from about 8am to 6pm. (some shops close for lunch). Depending on the mood of the police that day, you might find a lot of street vendors as well. Several markets are near downtown San Jose, however by far the largest and most complete is the Central Market, as mentioned before, located between Central Avenue and Streets 1 and 6 + 8. With modernization and globalization taking place in Costa Rica, much of the local shopping display has shifted to large malls. Modern multilevel affairs with large, food courts, cinemas and international brand-name boutiques and stores are becoming the best solutions for local shopping lovers. The biggest and most modern of these malls include the 2 Multiplazas (Escazu + Zapote), Terra Mall (on the outskirts of San Jose, on the road to Cartago), Mall San Pedro, Terrazas in the developed and prestigious Lindora, West of San Jose, and Lincoln Plaza in the town of Moravia. Paseo de Las Flores in Heredia and Paseo Metrópoli in Cartago are two options you can also found outside San Jose. One popular in an opulent neighborhood is Avenida Escazu with elegant cafes, fine restaurants, brand stores, Cinema and a Food Court. Starbucks can be found in that location, too. The quality and variety of craftworks in Costa Rica has improved greatly in the last years and now a great number of artists offer unique pieces. Vendors at the Plaza de la Democracia market also sell handicrafts, however you might want to check out the works of Lil Mena, a local artist who specializes in painting on rough fibers and handmade papers. Cecilia or “Pefi” Figueresspecializes in brightly colored abstract and metaphorical ceramic pitchers, bowls, coffee mugs and more. Both Mena and Figueres are exposed and sold at some of the better gift shops around the city. Another artist to look out for is Barry Biesanz whose bowls and boxes are works of art. His works are also shown at fine gift shops around San Jose, as well as in his own workshop and gallery in the Escazu hills. Two words of advice: Buy coffee! As much as you can bring back home. Coffee is the best purchasing deal in all of Costa Rica. Although the best coffee produced in Costa Rica is shipped off to North America and Europe. It is hard to beat the coffee that is roasted in stores as the best of all is the price: One pound of coffee sells for around $4 to $7. It makes a great gift and truly is a local product. In general, the best place to buy coffee is in any local supermarket. If you buy prepackaged coffee in a supermarket anywhere in Costa Rica, the whole beans will be marked either with grano (grain) or with grano entero (whole bean). If you opt for ground varieties (molido), be sure the package is marked as pure, so it is not mixed with sugar. 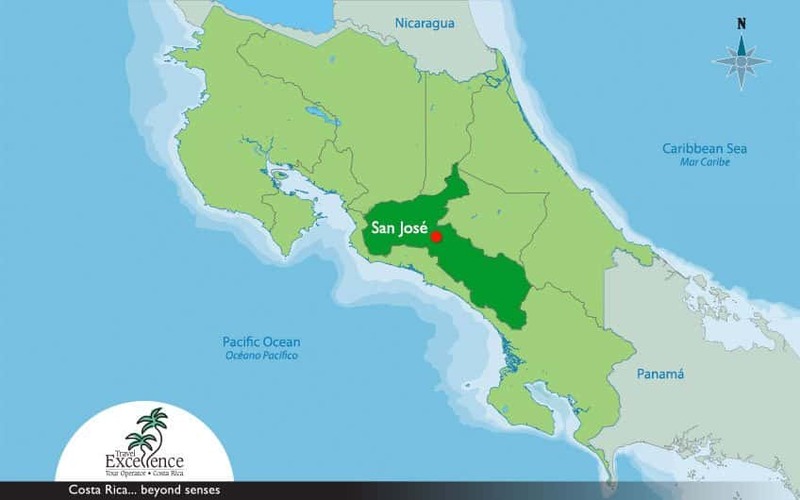 San Jose is placed in the center of the country, in the Central Valley surrounded by mountains therefore it is not a beach city. However, some of the most beautiful and most visited beaches in the Central Pacific are within one hour (the closest) from San Jose. Puntarenas, Jacó and Herradura are some of the closest beaches, nevertheless Manuel Antonio National Park and beach is one of the most famous beaches in Costa Rica not only for its easy access, but also of its variety of services in the surrounding areas including meals, accommodations and extensive range of fauna and flora in such a small piece of land. 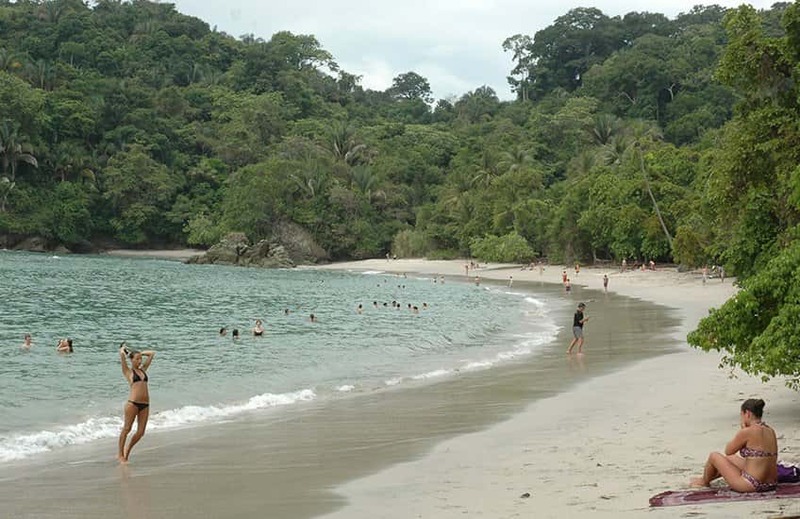 This national park is among the most visited beaches in Costa Rica. Manuel Antonio is one of the best places to see in Costa Rica. It is the main and most visited destination in the Central Pacific Region of Costa Rica, offering a variety of small and intimate hotels carefully built into hillsides in the rainforest just between Quepos town and the popular Manuel Antonio National Park. Distance from San Jose to Manuel Antonio is 112 miles / 180 Km or 3 hours from San Jose Capital City and Juan Santamaria International Airport (SJO). Should you be interested in learning about the best, nicest & most beautiful beaches to visit in Costa Rica, you can go to Costa Rica Beaches to learn more about them. Costa Rica is more than a vacation destination, it is an interactive and fully perceptible experience. The country has a collection of environmental attractions, misty cloud forests, imposing volcanoes, stunning river valleys, and hundreds of beaches along the Caribbean and the Pacific coasts. So, when trying to put the puzzle together with every piece of your interest to complete the vacation you can see any of the vacations packages we offer and we can tailor it to suite your needs. Most of those itineraries include the first and last night in San Jose City, at Travel Excellence we can certainly add more nights either upon arrival or before departure so that you can take the advantage of any of the mentioned activities and attractions. Within that Costa Rica vacation package section, you can learn about the different itineraries we have including the Highlights of Costa Rica, attractions for those wanting to discover our country, family oriented complete vacations. There is a very complete and exciting suggestion for adventurers, and for those falling in love and wishing to spend a romantic time in Costa Rica we got the Honeymoon packages. Planning a vacation to Costa Rica should be a fun and smooth process, let our Costa Rica experts do it for you. San Jose offers a wide range of hotel choices, from large chain hotels to boutique in different locations, you may find a great variety of both groups in downtown and San Jose outskirts. Many downtown hotels are housed in beautifully restored and converted old mansions. Staying in San Jose puts you in the middle of the action and close to all the city’s restaurants, museums and nightlife venues. Grano de Oro Hotel is a true oasis and a sanctuary in the heart of the city in a Victorian Mansion. Not only it is famous for its service in a great location but for its food. Grano de Oro has the best restaurant in town! Don Carlos Hotel along with Presidente Hotel and Aurola Holiday Inn are three other hotels in downtown we recommend for those interested in having a stay walking distance to museums, markets, theatres in the city. Mainly out of downtown you will find some of the San Jose Costa Rica 5 star hotels such as the Real InterContinental in the exclusive area of Escazu and across from Multi Plaza Shopping and Entertainment Center, an elegant property has 274 Deluxe rooms located in the main building and 98 guestrooms and Suites. In route to the airport, just within 10 minutes from the International Airport of San Jose (SJO) the Costa Rica Marriott can be found, and 20 minutes from San Jose downtown is located the other 5 star City Resort. A cozy colonial hacienda set in a 30-acre coffee plantation that mixes the modern comfort and décor with a laid-back environment. These two are the San Jose Costa Rica luxury hotels. And leaving the city but still being within an hour or an hour and a half from downtown we have a great selection of boutique hotels where authentic experiences and first class service is what attracts people to these locations: Chayote Lodge in , El Silencio Lodge in Bajos del Toro, Xandari Plantation in Alajuela, Peace Lodge in Poas Volcano Area, Finca Rosa Blanca in Heredia. Visit our Central Valley Hotel Gallery and learn more about the different Hotels we offer throughout the region of San Jose and outskirts.